Living in a tiny studio apartment can be a challenge. This 130 square foot micro apartment in Paris, France has a clever design which makes living in a tiny space extremely efficient. 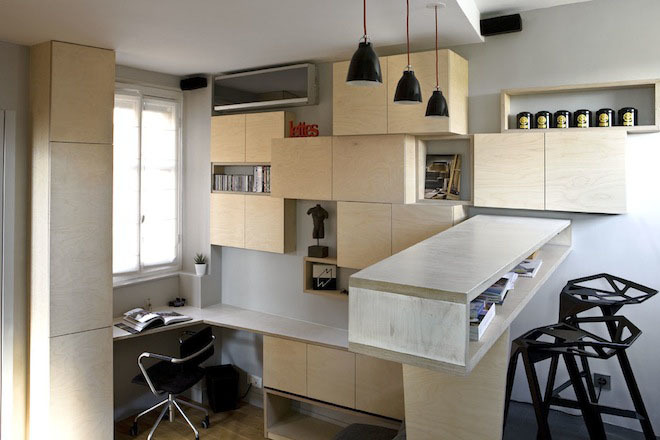 Located in the Montparnasse neighbourhood in Paris, the studio was previously a master bedroom of a large apartment. The owner decided to create a separate studio for rental purpose.